Multifunction printers (MFPs) have become incredibly popular with small and home businesses and no wonder; an MFP can save space, reduce energy costs, and improve productivity by integrating the traditional office duties of printing, faxing, scanning, and copying into a single device. MFPs (also known as all-in-ones) continue to decline in price while improving in features. An MFP is essentially a printer with added scanning/copying and fax capability. Typically a printer manufacturer will market both a basic printer and an all-in-one based on the same printing engine. Even if you don’t have a regular need to fax, scan or copy having an MFP gives you the flexibility to do so when required. If your business does not have a need for scanning/copying and faxing, a “printer only” unit is less expensive to purchase and may be simpler to operate as MFPs typically come with document feeders (increasing the size and weight), more complex control panels, and additional software for faxing, scanning, etc. If printing is the primary intended use of the MFP then it is important to match your needs to the printer capabilities. More expensive models are typically designed for higher print speeds and heavier use. Fortunately, there is a wide selection of available MFPs that are based on both inkjet and laser printing engines. There are even MFPs that excel in color photo printing. If you need fax capability but don’t want the hassle and expense of setting up your own fax, there are several online services that allow you to send and receive faxes via email, web, or smartphone. When it comes to connecting to an MFP, the more options the better. 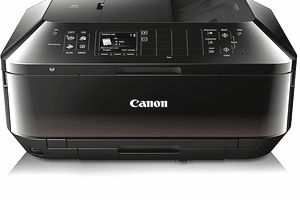 Aside from the standard USB connector, if you want to connect the MFP to a network you will need a wired (Ethernet) port or wireless (Wi-fi) capability (for printing from mobile devices). Most MFPs that have Wi-fi connectivity support wireless industry standard protocols such as Apple AirPrint, Google Cloud Print, or NFC (which allows you to tap an NFC-enabled smartphone or tablet to the MFP and have it connect automatically).